I haven't had a chance to look at the research itself, but the simplicity of this test appeals to me, as compared to the tests that are more favored by medical people. Controlling your blood lipids or your blood pressure or your heart rate is tricky, a bit difficult for the layman to measure properly, and generally discouraging. But trying to keep, or regain, your ability to get up off the floor without using your hands, elbows, or knees? That's pretty straightforward and cuts a lot of crap. I don't link to this because I'm perfect myself at it! I'd score eight out ten on their test: I can rise confidently from sitting on the floor without using my hands or elbows, but I can't even imagine doing it without one knee. Not without losing fifty pounds, anyway. I don't know what I weigh (I haven't weighed myself in years), but I imagine it's 220 pounds. or so. I can't figure out how to get my center of gravity up that first foot or so without rocking up onto a knee. But I can do that, fluidly and easily, and from there, it's a piece of cake. Now it is. In my forties, I couldn't have done it without at least one hand, and probably two knees. I'm much stronger now than I was then, more flexible, and my balance is better. I intend to keep all these capacities as long as I can, and never to relinquish the firm friendship I now have with the floor. I take to the floor almost any time I have a chance, without looking too odd. I really do not want to become one of those people who totters along in perpetual vertical, perching on high chairs, unable to get up and down. I love the ground, to go easily into a deep squat, to roll readily and smoothly onto my stomach or my back. And I don't do weights or training or formal yoga or anything; the closest thing I do to what modern people call “exercise” is ride my bicycle into my breakfast place, or into work, a few times a week. But I do what kids do: I try stuff. I challenge myself all the time, silly challenges. Can I crawl over the couch without using my arms? Can I hop up the short steps to the basement on one foot? When I'm riding the train, and hanging onto those rails I hang my bike from – and which are so enchantingly like monkey bars – can I haul myself up, surreptitiously, so that my feet are dangling, without anyone noticing? When you weigh as much as I do, this is no mean feat. The thing about all my silly challenges is, that they actually have to do with moving myself around, in ways that I might actually need to do, sometime. If you like lifting weights and doing stuff with machines, that's great, but the real point of exercise is being able to move yourself, even if you're injured or stuck or thrown into some terribly awkward position. And if you're willing to be silly, your own body has all the weight and resistance you could ever want, even if you're not as hefty as I am. This body. It's such a marvelous thing, and the more battered and time-worn the more wonderful, really. You can always try things. You don't need to be an athlete, or a yogi, or a gym rat. You can just crawl happily around the house, dance on any limbs that still work, see if you can step on every third flower on the carpet. Scuttle like a crab. Roll over in bed without using your arms. Whatever. What I don't like about the American Way of Exercise is its damned grimness, repetitiveness, and solemnity, and its emphasis on trying to make your body and yourself be like some ideal. Forget that. Get on the floor with the kids and just horse around. Put on some music and dance. Move happily. Treat your body like the wonderful, unexpected, and delightful gift that it is. Then she added ruefully, “It ends exactly when you start working on my calf.” A perennial problem area, lots of spasms. Her point, I think, was that this area was so bad that the pain was insuperable there. But I remembered that moment too: it was the moment when I became anxious that I was just giving a fluffy superficial massage, and reckoned I should do some real work and fix something. Earn my keep. I had shifted then from extremely light work – just stroking, really – to work that, though most clients would still find it irritatingly light, was identifiably massage. A blunder, I think. My guess, in the light of what we're learning these days about persistent pain, is that any minimal improvement I may have induced in the calf will have been trivial compared to the benefit of walking her nervous system through the experience of being without pain. That's the important thing I have to offer. Valuable in itself, in the moment, and probably the most effective intervention I can make in her hyperalgesia. The next time I get anxious about earning my keep, I hope I remember that. I'm not a body repairman: I'm someone who talks to nervous systems. That's my job, and I'd do better to stick to it. The backs of my hands in her flanks, rolling over, slowly, until my palms settle on the back of the hips, on the rises of the iliac crest: one of those places that call out for the palms; they fit there, like a sleepy child's head fits between shoulder and breast. I come to a complete stop. Disengage cleanly, says David Lauterstein, often. Nothing worse than a handshake that just sort of indistinctly peters out. Shake and be done. And usually I agree with him. But sometimes I stop like this, for two or three full breaths. Sometimes the absence is a presence; sometimes the drumstick that doesn't fall is more audible and important than the one that does. I drew a chair up to the head of the table. My client's eyes were closed, and her face was beatific. (Do people have any idea how beautiful they become, after twenty minutes or so? I don't think so.) I slid my hands under her shoulders and lifted, and gently rocked them from side to side: her head lolled slightly, back and forth, loosely and easily. That's what I like to see. Her eyes opened, and she asked, “what's the benefit of that?” Not in a snarky way, but like someone who can see something's important but can't quite see why. “I haven't the faintest idea,” I said, and she laughed. She laughed again. We come from the same Buddhist tradition, one that values skepticism about the stories and explanations we're constantly manufacturing. Other clients are not so happy with my reluctance to tell a story. They want me to have a whole connected, consistent narrative about the healing journey we're on, complete with heroes and villains, risks and triumphs, critical turning points and grand accomplishments. I won't do it. Even though it has some real therapeutic value, at least in the short term. In the long term, though, it's just more of the same, more that binds us to the wheel. It's how we got in this mess in the first place: by believing our own stories. No. Of course I lift the shoulders for a reason, for dozens of reasons. One being that I would like someone to be doing it to me, right now. I take a deep breath, and exhale slowly as I lower them again, and something unlocks in me, something deeper than scapulae or trapezius: something in the heart that imagines them, and imagines hers – both our hearts, not that they're two separate things at this point. That's another story, of course, and I treat it like all the others: something to acknowledge, with a brief salute, as it flickers by. No need to believe any of them or hold on to any of them. We have the real shoulders and the real hands: something deeper and better than all the stories in the world. I flex my hands experimentally, as I do, these days, in the way that any careful workman checks his tools. They're good: flexible, only a faint muscle soreness along the thumb metacarpal – the adductor pollicis brevis and the opponens pollicis; under what palmists apparently call the mons veneris (yes, I know! You'll have to ask them.) No hesitations, no glitches, no twinges in the joints. Good to go. I have to be careful what I do with my hands – especially, how long I leave them wet. I can't let the skin get too soft: It's risky, for instance, do a lot of dishes and then take a long shower, because it leaves my skin dangerously soft, too soft for the strength of my hands. Before I was a massage therapist, I scorned work gloves: now I always wear them to sling lumber or cinder blocks around. I'll tear the flesh right off my fingers if I don't watch it. “I'm so grateful for your hands,” said a client, yesterday. “Paws,” she added, which surprised me. I always think of my hands as being distinctive for their sensitivity: I like to imagine that my brain, like that of a raccoon, devotes an inordinate amount of room to the sensory map of my hands. But it was an intriguing glimpse into how they were being received. What did “paws” mean? Large, blunt, friendly, undemanding? It was clearly meant as praise. I'll have to mull that over. There's a gulf between bodyworkers and most other people. For us, the whole landscape of the body is closely mapped, full of named landmarks: we can easily describe any location within a quarter inch or so. Each particular spinal vertebra has a name, and distinct parts: a body, tranverse and spinal processes, facet joints. To the layman, it's all a vast unknown, unmarked country. A client says “my back's been hurting,” and asking for details plunges him into confusion. It's sort of the middle of the back? Or maybe the lower back? It's not just the lack of vocabulary, but a lack of sensory training: I don't think their brains really bother to map these sensations to different places. It's not just that they can't say: it's that they don't know. It's just the back. It hurts. It might have a left side and a right side, it might have a lower, a middle, and an upper, but that's about it. It strikes me as a deep, pathological alienation, not knowing the landscape of your own body, not having names for all these parts that creak and hurt and impinge, that give comfort and pleasure or pain and distress. I feel about our general anatomical ignorance the same way I feel about Americans' geographical ignorance: no wonder the world is such a threatening, mysterious place, if you can't really locate anything in it, if you can't tell Saudi Arabia from Pakistan. All news is equally bad news: none of them can be up to any good. Okay. I made that up. The real answer is “it depends.” It depends on what you can afford and what you want massage to do for you. If you want massage to increase your circulation, lower your production of stress hormones, improve your immune system, or decrease systemic inflammation, the answer is, well – nobody knows. But at least daily. Most of those benefits, touted on many a massage therapist's website, last only a few hours. Again, if you're fabulously wealthy, go for it! That's what I'd do. But if you're really interested in just those benefits, take a walk, eat some vegetables, and learn to meditate. Cheaper and more effective. For me, this cycle runs, sometimes faster, sometimes slower, at something like ten days. When I was a computer programmer with money to burn, I got a weekly massage. That was about right. Nowadays, when I get most of my massage by trading with other therapists, the timing often depends more on when our slow times are than on anything else. But if I was building the ideal massage schedule from scratch, with no constraints, I'd do it this way: I'd see a favorite therapist every two weeks, and have a second therapist I saw every month. And – after all, this is the ideal world – maybe a third that I saw once a month, too. That would add up to about weekly. I'd get other people because no one therapist, no matter how good, seems to clear every register and clean every window. I encourage people, including my regulars, to go out and get massage from more than just one person. Fabulous I may be; I don't deny it; but massage therapists, like singers, work in a certain range. There are notes I just can't hit. In general, you should get several sessions from a therapist before you make up your mind whether they're right for you. It takes two or three sessions for therapist and client to tune to each other. The relationship deepens: the therapist gradually discovers what works and what doesn't, what to work on and what to let be. The client gradually releases more and more resistance, as the work is more and more apt. It's a lovely process and it never really stops. I'm much more creative and experimental with my long-time clients. In general I think they're getting much better massages than my first-timers. So that's in the perfect world. In the real world, “how often?” usually comes down to: as often as you can afford. Monthly feels to me like maintenance. I really try not to let a whole month go by without getting massage. But weekly is a maybe a bit luxurious, unless you're working on specific physical problems or under unusual stress. (Several of my monthly regulars ramp it up to weekly at particular times: bookkeepers in tax season, say, or teachers at the beginning of the school year.) The people I see at wider intervals than monthly, I have a vague feeling that we're slipping behind, not keeping up with the accumulation of – of whatever it is that accumulates. 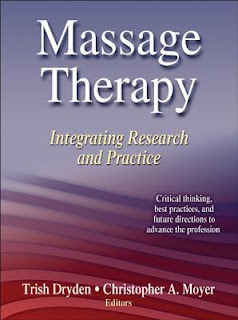 * This feeling – and the fact that massage is so effective at getting rid of it – accounts, I think, for the prevalence of the “massage gets rid of toxins” myth. See Laura Allen's video about this, or Paul Ingraham's systematic take-down. Massage does not flush toxins, or metabolic waste, or anything else out of the body. But yes, I hear you. It sure feels like it does.